Nottingham One provides businesses with an ideal opportunity to secure Grade A offices with generous onsite car parking in the rapidly improving Southside District. This area is subject to an ongoing £250m transformation that has seen the Midland Railway Station upgraded, a new tram station and works are now underway to redevelop the Broadmarsh Shopping Centre, car park and bus station. 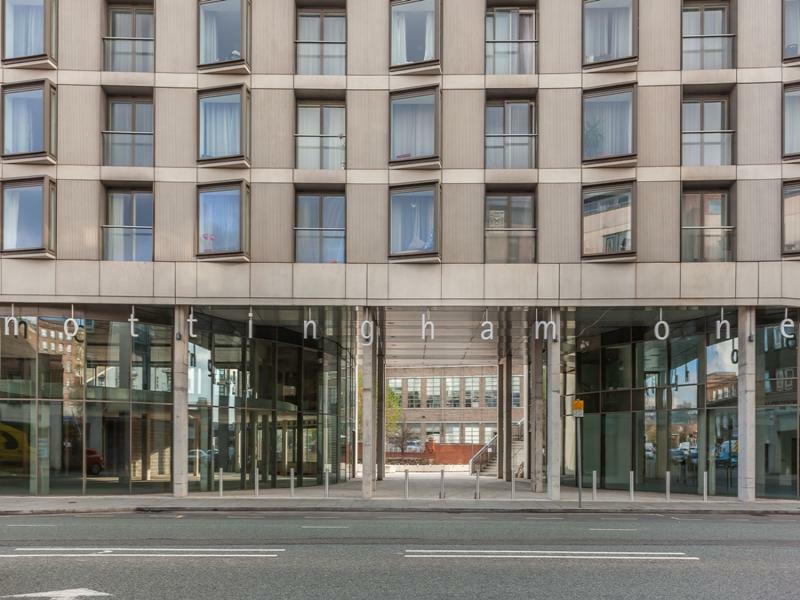 The highly prominent offices are within easy walking distance of the city centre, train and tram stations with nearby occupiers including Nottingham City Council, Capital One, Dambuster Studios and Eversheds Sutherland. Unit E has been left in a shell finish which would provide an occupier with a unique opportunity to work with the landlord to create a truly bespoke specification in terms of its configuration and finishes. There are two floors of parking under the building, providing generous, safe parking for tenants. A service charge is levied to cover the external maintenance and landscaping. For an estimate of the likely rates payable on Unit E, please refer to the marketing agent. The convenient and highly prominent location of the Nottingham One Offices on Canal Street is such that both the train and tram stations are within a few minutes walk, as are the restaurants, bars and shops of the city centre. By car, Nottingham is served by junctions 24-26 of the M1 motorway and international travellers can access the city from East Midlands Airport which is a 25 minute drive away.